After our breakfast at Duck & Waffles (read about it here), we slowly walked off our itis and made our way to London Bridge. 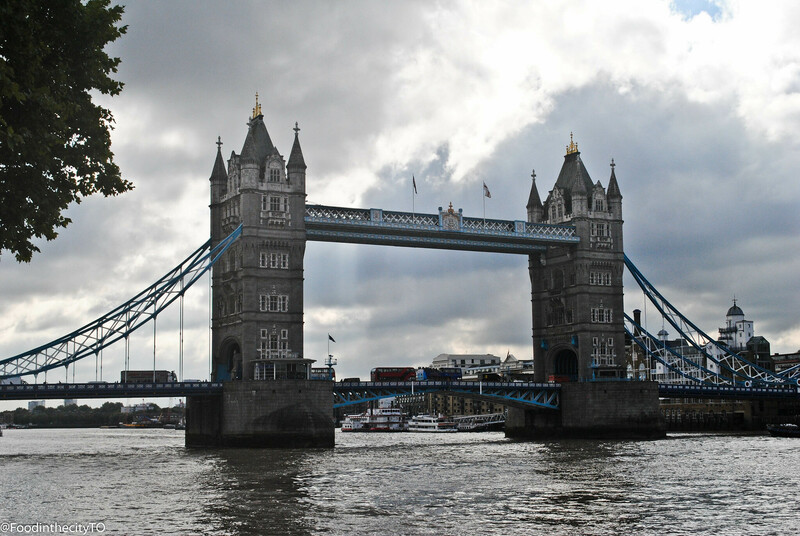 The scenery surrounding the London Bridge is just amazing and relaxing (we visited around 8:30AM). 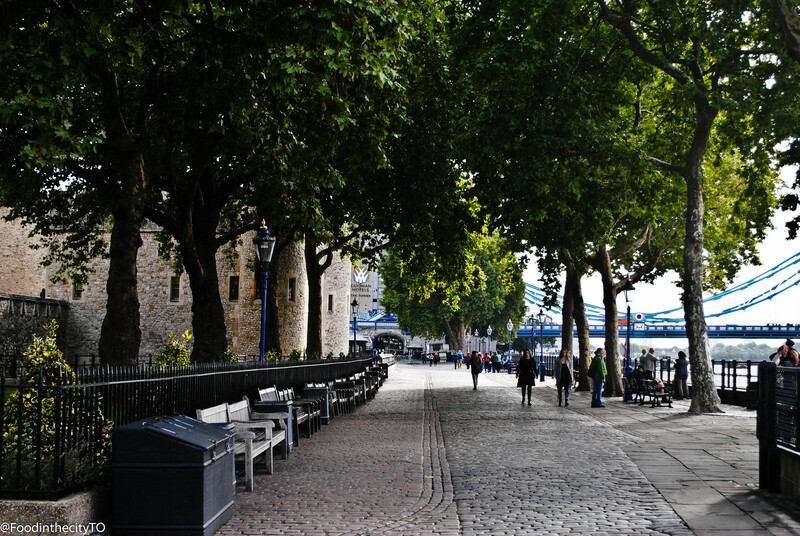 We walked a bit around the river, passing by Tower Bridge and walked right through the castle leading to London Bridge- taking everything in slowly. It was such a peaceful morning walk. 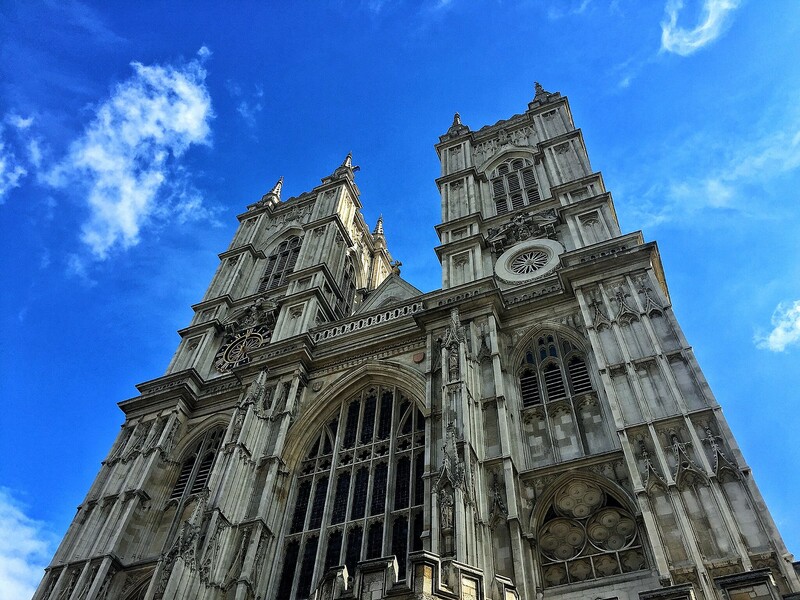 We hopped on a river cruise that took us from London Bridge to Westminister Abbey with an audio guide. 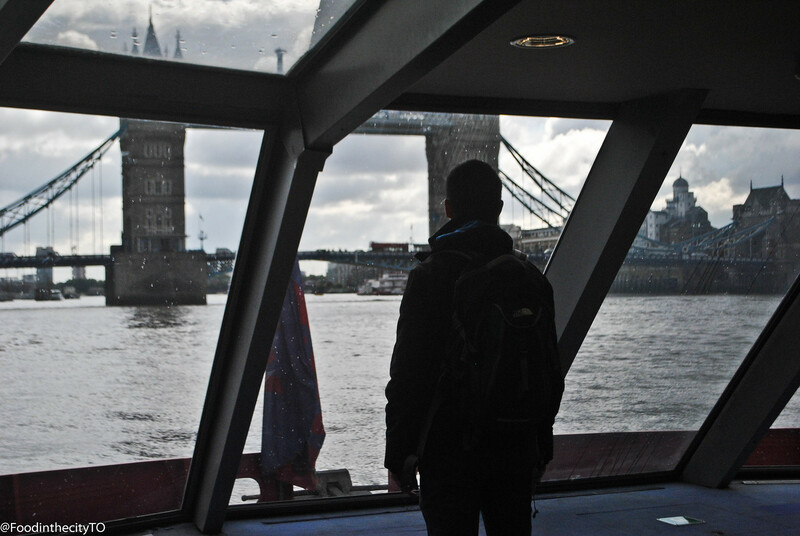 The company that we went with was called City Cruises London. We purchased tickets online in advance. Food and beverages were available on the cruise with additional cost. The River Cruise happens rain or shine. During our cruise, there was light rain but that didn’t stop us. The boat has 2 levels – upper level is balcony & lower level is an enclosed area with plenty of long tables and resting chairs. Sightseeing tickets prices vary depending on whether you prefer a single or return trip, departing and arrival location – nonetheless, booking your river cruise online in advance will definitely be cheaper than purchasing in person. 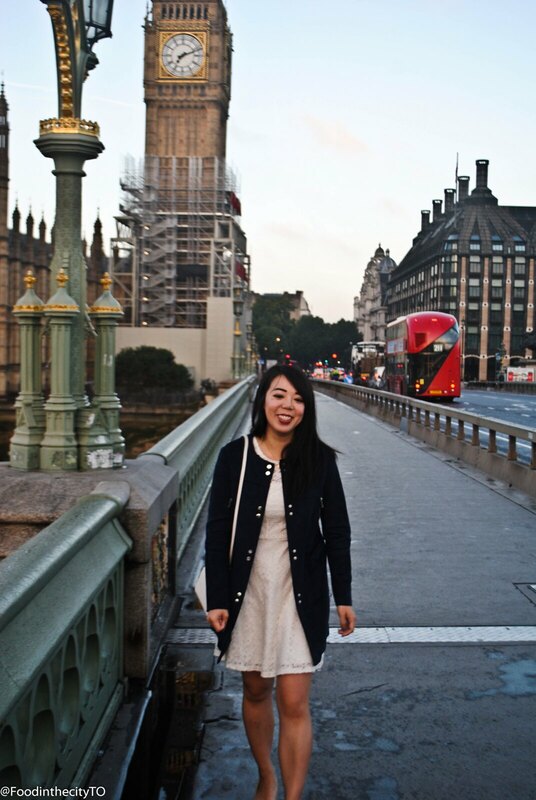 Our river cruise took us directly to Big Ben & Westminister Bridge. 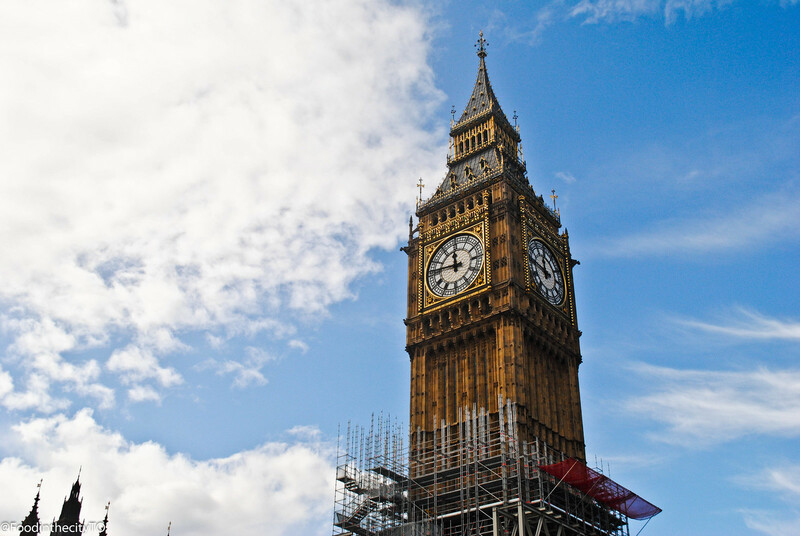 We decided to stroll to the departure location (Tower Bridge) and take the river cruise to Big Ben (one way fare). Stepping into the Westminister Abbey after following Prince William & Kate’s Royal wedding was such an eye opener. 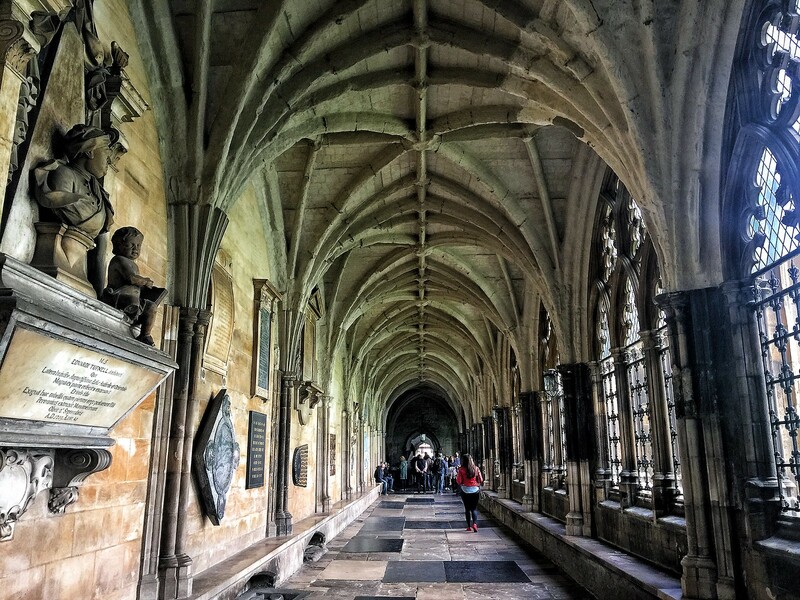 The Westminister Abbey church is simply beautiful inside and out. Visiting this church does require an admission fee of £20.00 for an adult if you prepurchase online. However, if you attend their services, you can go in for free. Service times & ticket prices information are all available on their website. 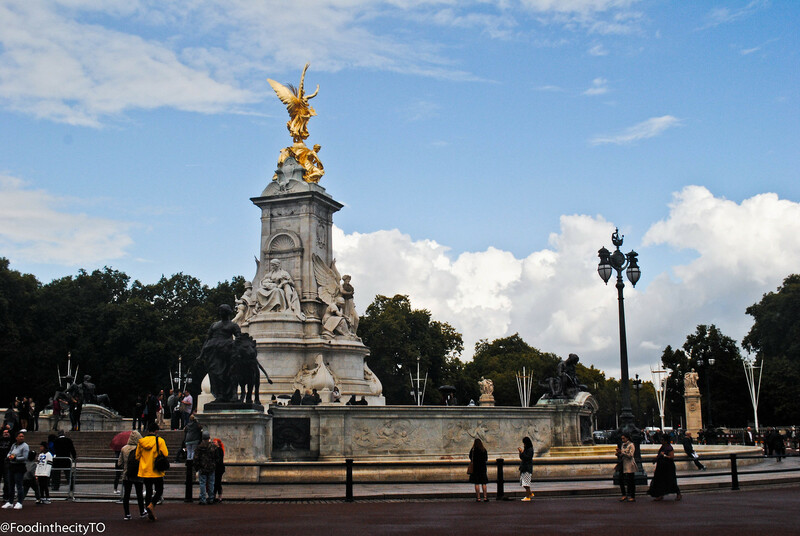 We made our way to Buckingham Palace after visiting Westminister Abbey. 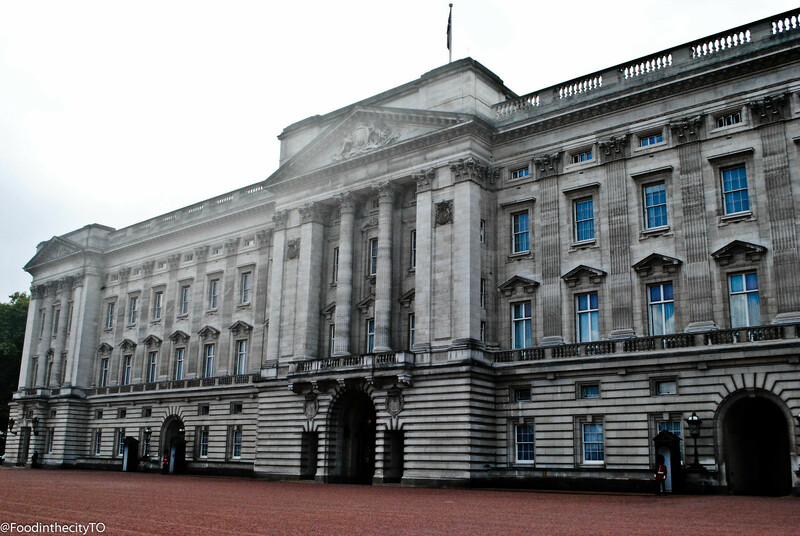 Although we didn’t get a chance to witness the changing of the guards, I still thought it was pretty cool to be so close to the palace. Walking through St. James Park was incredibly breathtaking. 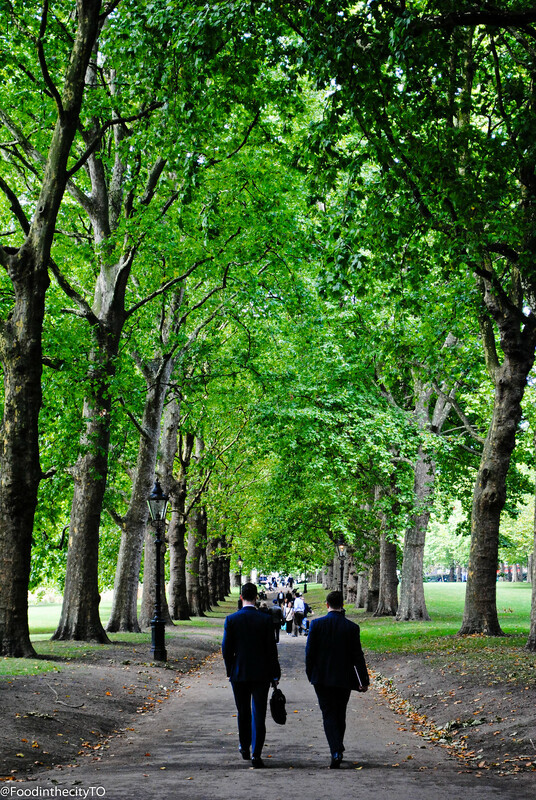 All the greenery and tall trees just made the walk really peaceful despite only being steps away from the busy Buckingham Palace. 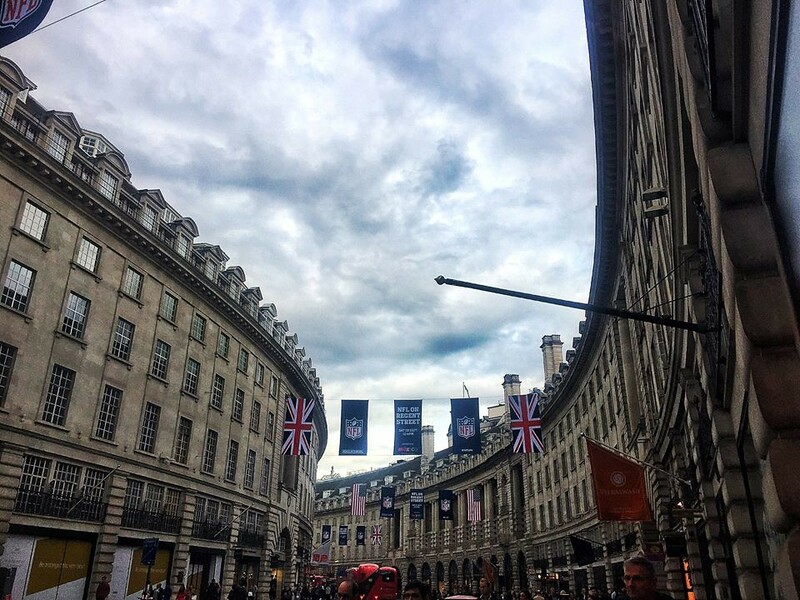 I love the fashion scene in London so naturally visiting Regent Street was a must visit for me. I’m a huge fan of Zara and Mango Clothing – whether it’s to buy (more) work or casual clothes – there is just always something for me to buy haha. Anyways, Regent Street was the “one stop shop” street for me to purchase all my favourite brands of clothing. Last but not least, Harrods – a great place in my opinion to buy souvenirs for friends and family. Each floor inside Harrods is pretty distinct. 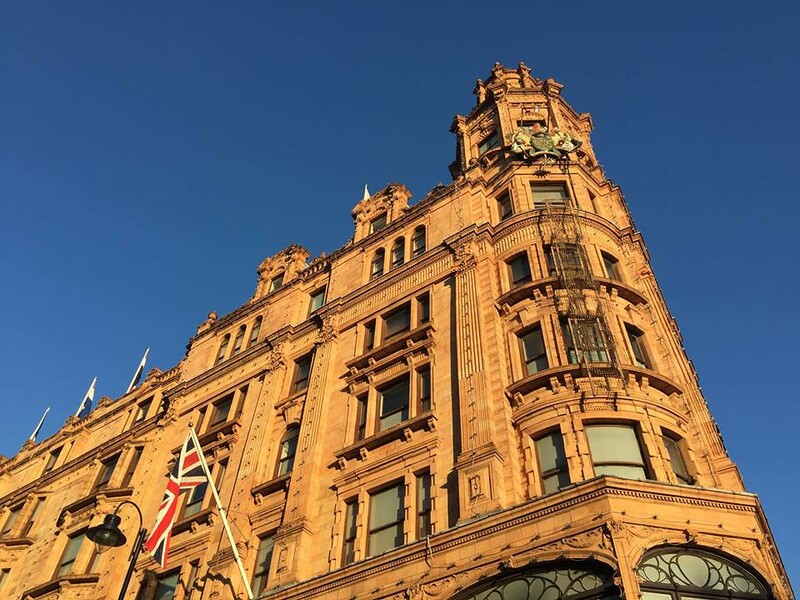 Starting from high street brands on the ground level, you can work your way up to find different things to buy ranging from handbags, Christmas ornaments (in September), chocolate, Harrods tea, desserts to go and even restaurants located on random levels. Be prepared to stay in Harrods for quite some time if you’re planning on purchasing souvenirs. 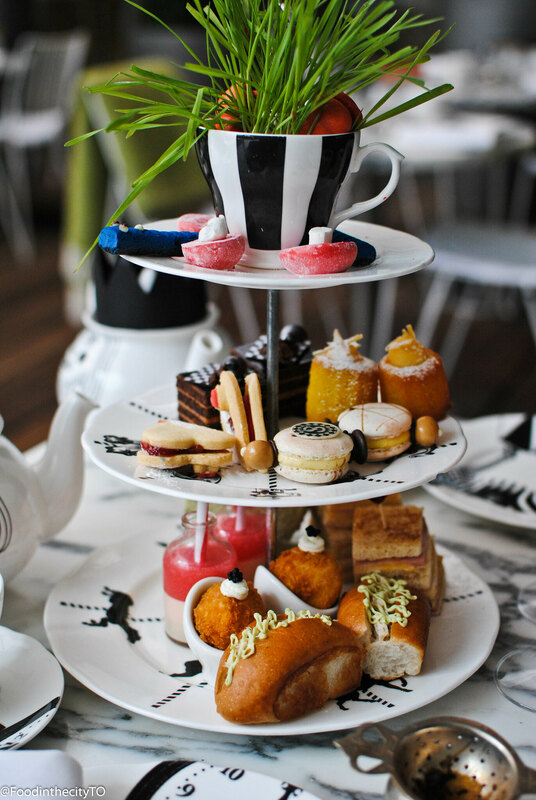 Madhatter’s Tea Party – An Alice in Wonderland themed afternoon tea party inside the Sanderson Hotel – enough said!